I’ve been experimenting with miso off and on lately. If you’re not exactly sure what it is, as I wasn’t, miso consists of fermented soybeans. Popular in Chinese food (think miso soup) its salty, tangy flavor adapts well to all kinds of recipes. The dressing has a robust flavor with an extra kick from the garlic and Sriracha, but it’s not overpowering nor spicy. If you’re not a garlic lover, it still tastes great without it. The bold taste works really well in a grain salad or any bowl you can dream up. (More ideas for these meals here.) Make up a batch, and I’m sure you can find quite a few uses for it. Combine ingredients, and whisk mixture into a smooth creamy texture. Recipe from the blog Domesticate Me. Continuing to take a closer look at pantry staples, I’m tackling a tough one here, snack bars. Whether you’re packing them in the kids’ lunch boxes, using them as a meal replacement, or a convenient snack, it’s tough to find truly healthy options. In today’s fast fix food culture, we tend to think of granola bars as healthy – after all, they have GRANOLA in them. But many also contain lots of added sugar, are high in fat and calories and can be low on actual nutrition. Again, I’ve used the app Fooducate and my family’s taste buds to help me sort the good from the not so good. On average these bars contain whole grains, a good dose of fiber, and are lower in sugar than many of their competitors. Please note, bars by the same maker don’t always score as well as the specific flavor listed here. Luna Bars in general get called out for being highly processed. 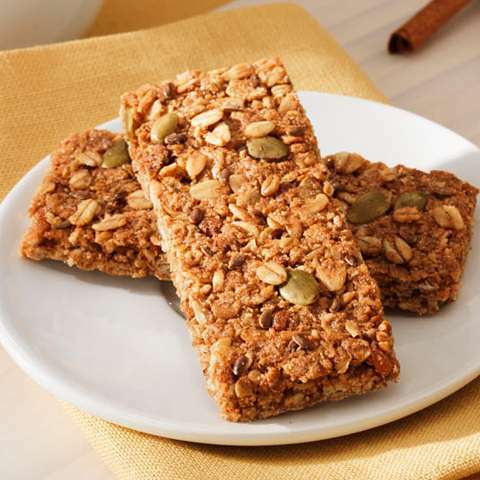 PowerBar Protein Bars contain lots of sugar, fat, and the added protein is highly processed. Kellogg’s Fiber Plus Protein Bar score D+ due to trans fats, sugar and BHT preservative. Fiber One Protein Bar, Caramel Nut get a C- for sugar content, processed, and additives. 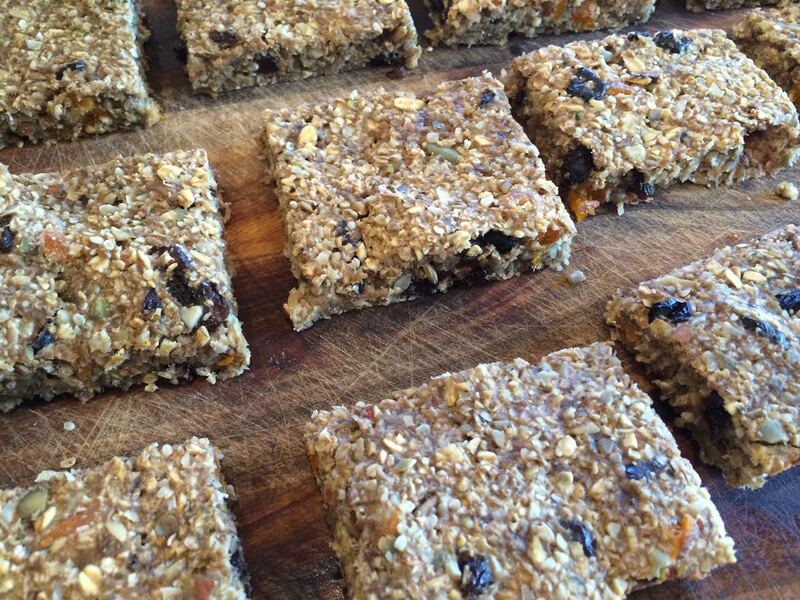 When time permits and your pantry is well stocked, making your own snack bars is a great option. Try my new favorite recipe, Feel Good Hearty Granola Bars, from the blog Oh She Glows. Lately, I’ve been inspired by the idea of getting more done by doing less. I know, it sounds like a total pipe dream, but the more I’ve looked into it, streamlining your life is a brilliant. But how do you decide what to give up? A few days ago I ran across an article, Save Time and Do Less, that presented a few specific challenges to help you do less. It asked; do you say no? are you considering the value of every meeting you attend? do you delegate enough? do you answer or read every email that comes in? 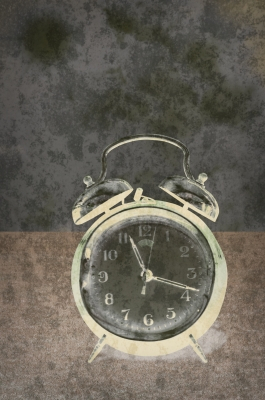 The idea is not so much giving up things, but reclaiming wasted time while making sure you use your time for things that rank high on your priority list. – Someone I like but don’t know well asked me to join a volunteer committee. I was flattered and felt like I didn’t want to miss this chance to get to know her. But, lo and behold, I remembered I’m tapped out on the volunteer front and had the presence of mind to demur. I did let her know I hope we have more chances to work together down the road. – I avoid evening meetings whenever possible. My brain is tired and I want to spend time with my family. So when my younger daughter announced she wanted to go to the high school information night, I assured her we knew all we needed to know since her sister just went through the process. She persisted, as usual, and I realized that though I had just been through it, she had not. It was a big deal in a right-of-passage sort of way. And since my kids are my biggest priority, we went. We learned a few things and it was fun to spend that one-on-one time with her. – Last but not least is that email thing. I’m pretty good about trashing the fluff in my inbox, but what most of us really need to do is make an occasional pass through to unsubscribe to anything that’s not bringing value to our day, whether it’s information we need or pleasure we look forward to. Okay, so that’s added to my to-do list. Please check out the article on the WeWork website for a few more suggestions on ways to simplify, because once we’ve eliminated the clutter, we have the time and focus to do a better job on the things that matter. By the way, while you reading the article, find out what WeWork is all about. This company provides beautiful work spaces for creative people and groups so they can come together in a place where there’s an infrastructure and technology. At the same time they’re meeting, collaborating with and supporting each other. They call it a “co-working” environment. Sign up for chat-based coaching on Coach.Me.